Tim Clover, CEO The year is 1910. At a nondescript optician shop, by the name of Rayner Company on 9 Vere Street, London, a four-year-old, Harold Ridley is trying on his first pair of spectacles. At that time, the owners of the shop were completely unaware that this little boy would one day grow up to be the reason behind the legendary status that Rayner Company holds in the industry today. Fast forward a few years and in 1949, Ridley, a rising ophthalmologist along with Rayner’s optical scientist John Pike designed the first intraocular lens (IOL), and the rest, as they say, is history. Today, with a legacy that spans over 70 years, Rayner continues to remain at the forefront of innovation as the only manufacturer of intraocular lenses in the UK, producing at a rate of one million IOLs annually. Driven by science and more importantly a passion to continuously improve patient outcomes and safety, Rayner’s unique product distribution, at present, is spread over 80 countries around the world. Their flagship product RayOne, a fully preloaded microincision cataract surgery (MICS) injection system that works without compromise is considered the most advanced in the history of ophthalmic services. The RayOne solution is available in aspheric, spheric, toric and trifocal models. The trifocal model is the latest addition to the RayOne suite and is based on proven, high-performance diffractive technology. Another distinctive contribution made by the company is through RayOne Hydrophobic, launched this year, which is the first hydrophobic acrylic IOL that was granted the European CE Mark. The lens features a patented Cornerstone design and is specifically built to offer superior visual outcomes. Made of an ultra glistening-free proprietary material, RayOne Hydrophobic not only sets a new standard for hydrophobic IOLs but also reaffirms Rayner’s zeal for innovation and advancement that the company has showcased religiously for decades. Apart from a preloaded system, Rayner even offers a range of manually-loaded monofocal, toric, and multifocal capsular-bag IOLs, including the FDA-approved C-flex aspheric lens. In addition, specifically for pseudophakic patients, the company has designed supplementary IOLs to correct residual post-operative refractive surprise, corneal astigmatism, and presbyopia. To provide clear and accurate power recommendations for Rayner’s complete range of premium lenses, Rayner offers surgeons an online IOL power calculator called the Raytrace system. Raytrace is not only quick and easy to use, but medical providers can also use it for simple calculations and IOL power recommendations. Moreover, to empower every cataract procedure, from basic surgery to complex situations the company offers a full spectrum of Ophthalmic Viscosurgical Devices (OVD) under their Ophteis range. 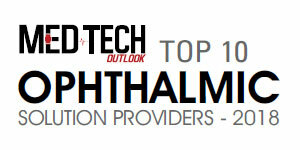 While Ophteis FR Pro is a unique bio-engineered OVD designed to deliver a new level of corneal endothelial protection from phaco induced trauma, Methylvisc OVD provides excellent endothelial protection, owing to its visco-adhesion. Rayner is proud to have assisted Dr. Geoffrey Woodruff, Consultant Paediatric Ophthalmologist, Emeritus Leicester Royal Infirmary UK with solutions such as Rayner C-flex Aspheric Monofocal IOLs and OphteisBio 3 percent OVD when he visited Ethiopia as a visiting professor. “I am very grateful to Rayner that provided cohesive viscoelastic (used in every lens implantation for pediatric cataract patients in the UK, but normally never used in Ethiopia) and injectable intra-ocular lenses when the required lens power was not available in Gondar,” mentions Dr. Woodruff in a report. Rayner is also well known for its range of pharmaceutical and eye care products that manage the tear film and aid visual outcomes and provides end-to-end clinically superior ophthalmic products. This includes medication for dry eye, inflammation, allergy, and corneal edema. While their product Emustil is used as a therapy for associated symptoms of Meibomian Gland Dysfunction (MGD), another proven eye drop, Ilube acts as an artificial tear. Behind Rayner’s state-of-the-art offerings is CEO, Tim Clover, an industry veteran with three decades of experience in the international medical industry who brings extensive knowledge of medical devices, ophthalmic services, and strategic investment to Rayner. “We are committed to supporting ophthalmologists in attaining the best outcomes for their patients,” remarks Clover. To maintain continued safety and efficacy of their products, the company has a separate department called Vigilance, which is the point of contact to report any product deficiency related to the identity, quality, durability, reliability, safety, or performance of a medical device that has been placed on the market. To always stay at the leading edge of IOL and associated surgical instruments production, the company houses a dedicated Research and Development (R&D) wing that develops innovative new products and next-gen automated manufacturing equipment. The R&D team possesses in-depth knowledge and technical expertise in the fields of advanced optics, materials, and injector design. At the heart of all their design initiatives, Rayner follows a strong customer-centric approach and adopts a cross-departmental project management culture, to deliver nothing but the best in the ophthalmic market. All of Rayner’s products are built in line with compliance standards and commitment to quality is every employee’s top priority. As a long-established business with their factory and products inspected and certified by BSI and approved by the US FDA, Rayner routinely engages with key suppliers to pre-empt any potential supply issues. For maximum surgeon benefit, the company goes the extra mile and offers Eye Science, a robust clinical and training program. The Eye Science team at Rayner has over 15 years of experience in ophthalmology and clinical research management and is based in the UK and Germany. The team’s primary motive is to improve patient care through programs that support scientific advances. From supporting surgeons in clinical studies to being the primary contact for all clinical study and technical research, Eye Science is a compelling body when it comes to clinical evidence. With a strong legacy to fall back on and an unstoppable drive to excel in ophthalmic services, Rayner’s core focus is to provide the best visual outcomes for clinicians and patients. The company is a strong proponent of IMPACT, which is an international program to prevent and alleviate needless disability. Rayner regularly contributes premium quality monofocal lenses, free of cost, to IMPACT to improve patients’ quality of life and support independent, sustainable living. "Rayone, a micro incision cataract surgery (MICS) injection system that works consistently without compromise is considered the most advanced in the history of ophthalmic services"
Currently, the company is undergoing a sizeable evolution as the business continues to expand across the UK and globally. Another exciting offer which is expected to be launched soon is RayPRO, a free desktop and mobile application, built specifically for ophthalmic surgeons who perform cataract surgery. The solution supports the collection, analysis, and reporting of patient outcomes after cataract surgery and presents easy-to-understand reports in real-time via the intuitive RayPRO dashboard that can be accessed anywhere, anytime. “For Rayner, this is a critical product. We are pressing forward proactive, safety and efficacy data ideally on every IOL that we sell, as it becomes mandated by the new European medical device regulations that we fully support,” ends Clover.